In 2006/2007 I had the privilege of working in one of the most phenomenal wildlife regions I have experienced in my extensive work as a wildlife guide leading trips throughout Southern Africa. 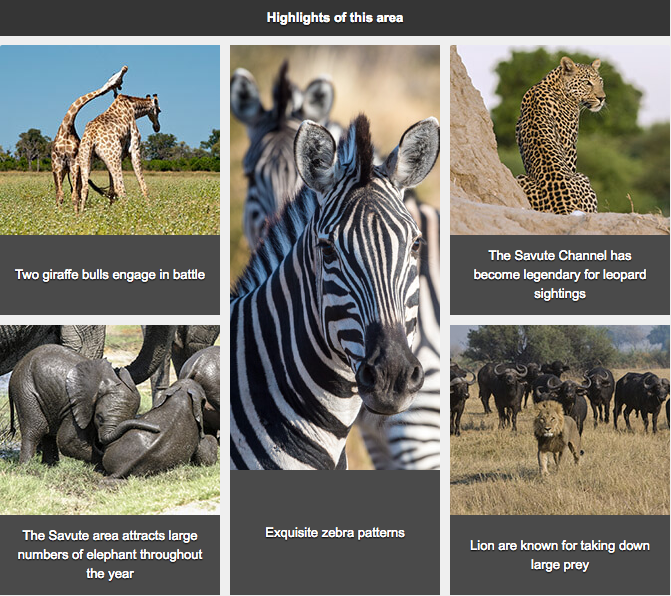 The region I refer to is the famous Savute Channel working from the Wilderness Safaris Savuti camp, a stunning property which has front row seats to the action on the channel. The Savute channel is a fascinating water system which ran dry between 1980 and 2008. The water flow in the channel seems to follow cycles of flow and cycles of no flow when back dating records of explorers in the region. With several theories explaining the cycle, the presence or lack of water in the channel has big impact on the wildlife. The Linyanti/Savute region has some of the highest dry season concentrations of elephants in the world. The overall diversity of the region is quite phenomenal with exciting predator vs prey activity and amazing sightings of Wild Dog, Lion, cheetah and Leopards to name a few. When I worked in the region in 2006 water had just begun to creep down the channel from the Zibadianja lagoon. Zib, as it is known, is another regional highlight and is one of the most beautiful locations I know of. The sunsets are phenomenal and it is the starting point of the Savute Channel which runs all the way to the Savute Marsh. Before the water started to flow in 2008, the dry Savute channel formed an open grassland which was prolific with wildlife utilising the convenient open space and nutritious grass. High concentrations of animals made use of several water holes along the channel as absolute hot spots for animal viewing. The flow of water down the channel changed the dynamic in the region and the adaptive behaviour of animals was fascinating to watch. Due to a regional drought over the 2015/2016 seasons as a result of the effects of el nino , the channel has once again receding flow and as of July the water was still 13,5km short of Savuti camp. With two thirds of the Savute Channel within the Wilderness Safaris private Linyanti concession, guests have exclusive access to this prolific wildlife area. Water holes are once again being pumped along the channel using solar generated power and the concentrations of game are already heating up at the water as we continue full steam into the dry season. The really exciting news is that a very worthy attraction is returning to savuti camp. A log pile hide has been reconstructed at the waterhole in front of camp. With the levels of game that concentrates at the waterholes along the channel when it is dry, I truly consider time spent inside the log pile hide during the dry season and early summer season a bucket list experience. Massive herds of elephants, buffalo and other game species concentrate around this hide and it is exciting beyond words to be so close to the action in an open topped pile of logs. Of course with the herds of buffalo the lions are never far behind and the region has become known for excellent predator prey interactions. I am heading back to Savuti Camp in August, private guiding a family of 6 and it will be exciting to see what the changing dynamics of the channel have in store for us. Not to mention the excitement of the log pile hide experience which lies in wait. Watch this space for details of our experiences and consider this hot spot destination for your next African adventure.